NOTE: Due to curved edges of the Galaxy S9 Plus, traditional full screen glass screen protectors will generate huge halo effects on the edges. 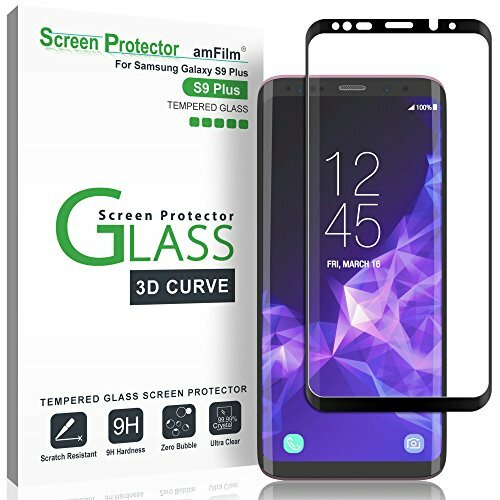 We have developed a Dot Matrix glass screen for the Galaxy S9 Plus, which offers full screen protection without any bubbles or halo effects. This is accomplished with state of the art technology by placing hundreds of microscopic transparent dots on the screen protector to mimic the contact of your finger on the screen. If you have any questions about this product by amFilm, contact us by completing and submitting the form below. If you are looking for a specif part number, please include it with your message.